For over 50 years, the Law Firm of Johnson, Moody, Schmidt, and Kleinhuizen has provided proven results to their clients. 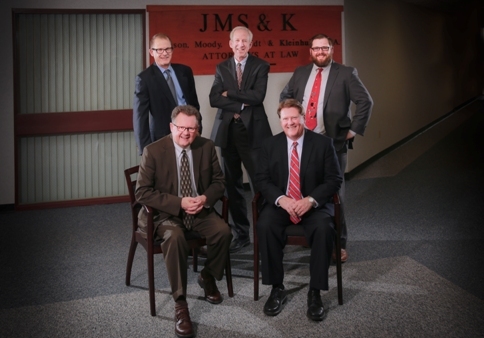 Throughout the years, the attorneys at JMS&K have held themselves to the highest level of legal excellence. Each Attorney at JMS&K specializes in their particular areas of practice to insure that you receive the highest quality legal representation regardless of your needs. It is our commitment to personalized service that separates us from the rest. Our Attorneys and highly trained and experienced legal team seek to learn about you, your challenges, and your goals, so that we can seek the very best result possible. Perhaps this is why clients who need help with a particular legal issue, continue to choose JMS&K for all of their legal issues. Our goal is for our clients to become clients for life.